Looking for a light alternative to fries? Why not trade in your potatoes for a refreshing mini salad? 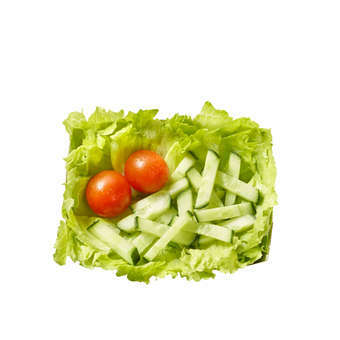 The salad is made with cherry tomatoes, fresh cucumber on a iceberg salad bed. It is possible to season minisalad with your own dressing choice.